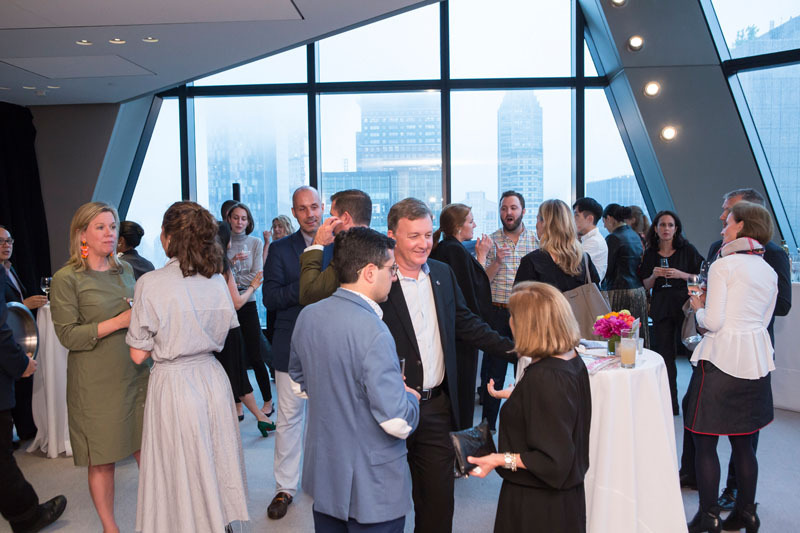 Designers including Harry Heissmann, Lindsey Lane, Katie Leede, Katie Lydon, Alex Papachristidis, J.P. Horton, Erick Espinoza, Marshall Watson, Jayne Michaels and Joan Michaels were on hand to toast the newest collection. Guests mingle before the big unveiling. Guests were invited to be hands-on when interacting with Swarovski Lighting’s Infinite Aura collection. Signature cocktails were inspired by Swarovski Lighting's Infinite Aura collection. Guests were invited to take photos with Swarovski Lighting’s Infinite Aura collection.